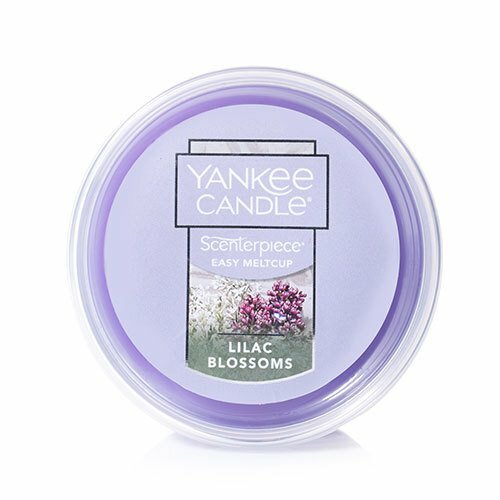 Yankee Candle Lilac Blossoms Scenterpiece Easy MeltCup is the fragrance of an alluring garden of lavender, white, and deep purple lilacs. Easy, no cleanup way to enjoy fragrance. Just remove the lid and place in a Yankee Candle electric MeltCup Warmer, plug in, and enjoy. To change fragrances, remove the cup from the warmer, replace the lid, and put a new fragrance in the warmer. Approximately 24 hours of fragrance. 2.2 oz.